Thrombosis can cause serious complications and can be fatal if it is not treated properly. If DVT is suspected, it is important that it is diagnosed and treated properly to reduce the risks to the patient. DVT is a thrombosis that occurs within the deep venous system. These are the veins that are deep within the body, rather than running closer to the surface. Although the blood should clot at the site of an injury to help reduce blood loss and promote healing, it can also clot in places where a clot may not be necessary. Thrombosis is the formation of a blood clot within a blood vessel. These clots can reduce blood flow or completely block the blood vessel. A clot in a vein may cause swelling and blood congestion behind the clot, whereas a clot in an artery may cause areas of the body to be starved of blood and oxygen. A clot may also come loose within a blood vessel and may travel through the circulatory system to another area of the body. If a blood clot travels to the heart, lungs or brain, the patient may suffer from organ failure. Anticoagulant medication works to alter the proteins in the blood to reduce their ability to form clots as easily. Although these medications are colloquially known as “blood-thinning” drugs, they do not actually thin the blood. They help to prevent the existing clots from growing bigger within the blood vessels. Two main types of anticoagulant are prescribed in the UK; heparin and Warfarin. Heparin is given to people to prevent immediate further clotting in people who already have a blood clot. Warfarin may then be prescribed later on to prevent subsequent blood clots from forming. At risk patients may be given warfarin as a preventative treatment. People who are on Warfarin for a long time must be closely monitored to ensure that the correct balance is maintained. If the dose is too high, the body may not be able to properly form clots in the sites where they are needed. In the event of an injury, this could lead to serious blood loss. Many local NHS trusts run Warfarin clinics to help monitor long term Warfarin patients, so that doses can be increased or decreased as necessary. Patients who are using Warfarin must also take care to maintain a consistent and healthy diet, and limit their alcohol intake. They should not use herbal medication or any non-prescription medication without consulting with their doctor or clinician first. Pregnant women are not normally prescribed Warfarin to treat thrombosis. Alternative anticoagulants may be given to pregnant women. 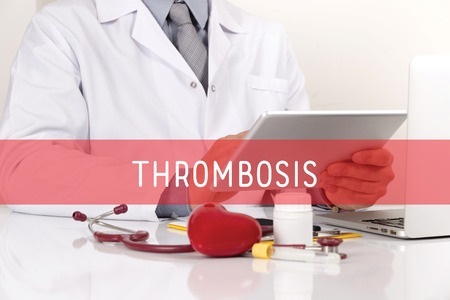 LINK – NHS resource for thrombosis. Compressing stockings can act as both a treatment and a preventative measure for DVT. They help to reduce the risk of ulceration and post-thrombatic syndrome. For the best results, compression stockings should be professionally fitted and regularly reviewed. This helps to ensure that they are providing adequate compression in the correct areas of the legs. Most patients are given two pairs so that they can continue to wear one pair whilst the other pair is being washed. Most patients will be required to wear stocking all day, every day, for a period of at least two years. 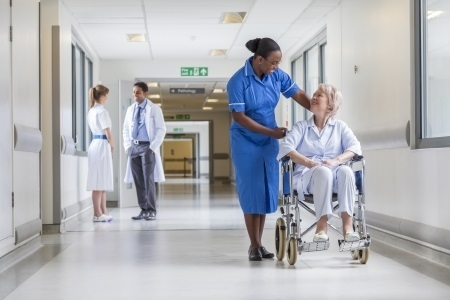 High risk patients may be required to continue using stockings after two years. The stocking can be removed before bed or whilst the leg is kept in a raised position. IVC are tiny mesh devices which can be placed into blood vessels in strategic locations to help to prevent blood clots from travelling to other locations. They are normally placed in such a way that they protect the heart and lungs from clots. The mesh allows blood to travel through freely, but any larger clots will not be able to travel through. IVC are normally only used when anticoagulant treatments are unsuitable or unsuccessful. They can be temporary or permanent. IVCs can be inserted using keyhole surgery techniques and a catheter which is inserted into the neck or groin. The procedure can be done under local anaesthetic, meaning that it is quicker and easier than some other surgical options. In rare cases, surgery may become the only option for treating thrombosis. It is usually used in cases of arterial thrombosis, rather than venous thrombosis. If a clot has completely blocked a blood vessel and a patient has developed necrosis or ischemia, then surgery may be attempted to try to remove the clot. This option can be high risk, because the surgery increases the risk of other clots forming at the site of the initial removal.